You all know how I read The Sorrows of Young Werther and found myself enchanted by the young man, with his endless philosophising, expounding upon Nature, Romantically (as we now call it) throwing himself with full emotional force into life, love, and death. I was so taken with it that I tried (in vain, of course) to remember what I’d learned about this period when studying the Romantic poets oh so long ago. What music did they listen to? What books did they read? What was going on in politics? in art? in science? And this from Don Juan, by Byron, which so reminded me of Werther. And then he thought of Donna Julia’s eyes. However, I won’t be able to start on it right away because tomorrow is the live streaming broadcast of Verdi’s opera Don Carlo from the Bavarian State Opera in Munich. I need to listen to the opera again tonight with the vocal score (and English libretto) in front of me, because if the broadcast is like their broadcast of Beethoven’s Fidelio last summer, there will be no subtitles. I adore subtitles in opera, because I still remember the bad old days of trying to read two dense paragraphs of synopsis after rushing in late to the opera and trying to keep it in my head while watching something that was unintelligible–but gorgeous music! As it happens, Don Carlo is based on a play by the German writer Schiller and Wikipedia has led me down several fruitful paths. 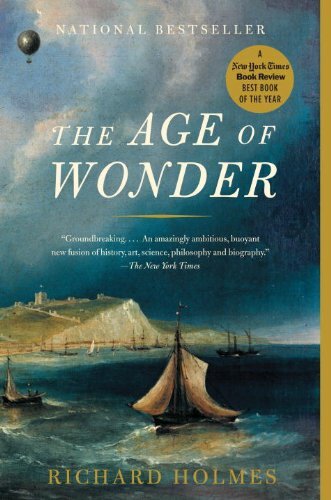 Both Goethe and Schiller are referenced in The Age of Wonder. Well, I must be off to make chicken and vegetable soup and freeze some salmon and pork chops that I bought today. This entry was posted in Uncategorized and tagged Goethe, Romantics, Werther. Bookmark the permalink. 1 Response to What hath Goethe wrought? “I shall attack Chemistry, like a Shark.” …that is catchy.